It’s a chip! No wait, it’s a cracker. 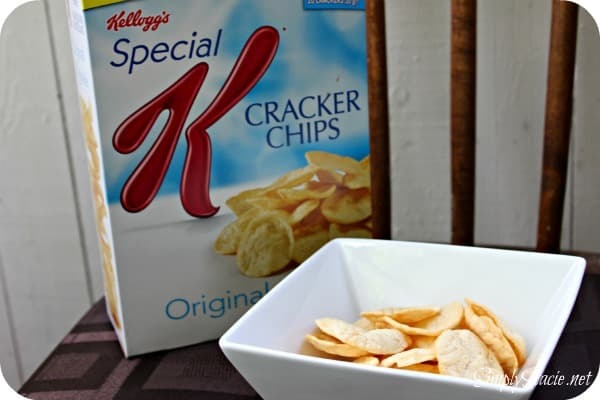 Actually, the new Special K Cracker Chips are a little bit of both! 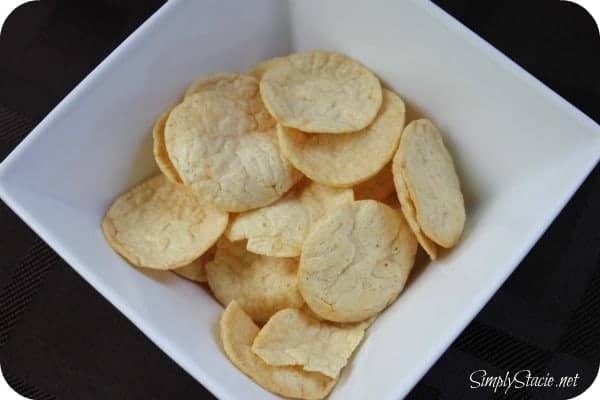 They are crisp and crunchy like chips, but are only 80 calories (per 18 chips) so you can enjoy them without the guilt. They are made with a blend of potato and rice and come in three flavours: Original, Cheddar and Sour Cream & Onion. 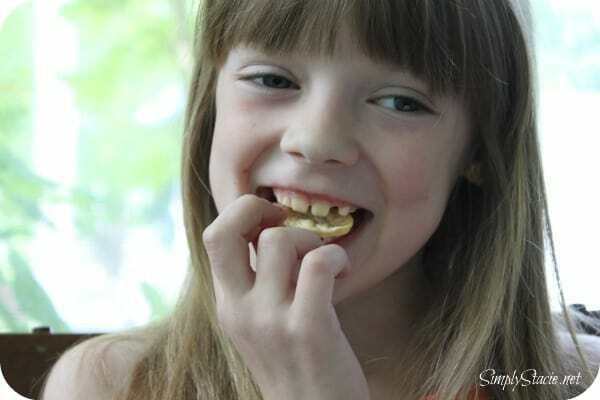 We were among the first in Canada to try out three flavours of Special K Cracker Chips and they were a hit! Bridget sampled all three varieties and informed me that Original were her favourite. I myself liked the savoury Sour Cream & Onion. They tasted very close to the Sour Cream & Onion chips I normally eat, but were not greasy like chips. They reminded me a little of Munchos Potato Crisps. I used to eat those all the time when I was in high school. These are a perfect snack if you are watching your weight. I always feel like I miss out on all the “good” stuff (aka the junk food). Having more options to choose from is always a good thing in my books! Disclosure: I was not financially compensated for this post. I received a sample of the product for review purposes. The opinions are my own, based on my personal experience with the product. They are delicious and I like them so much I feel guilty. I love love the sour cream and onion ones. mmmmmm Great Post and she’s cute as a button. Finally tried these new chips and I am a fan…I liked the sour cream and onion but I must agree with your daughter, love the original the best.